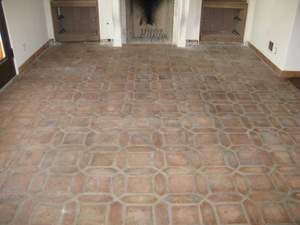 Dirty pavers need restoration! 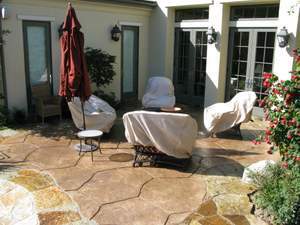 Every day wear and tear can leave pavers in need of some major work. 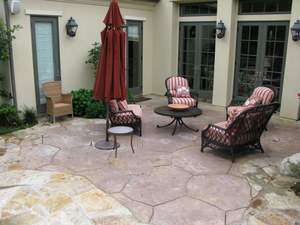 Pavers are a fragile tile usually composed of clay. 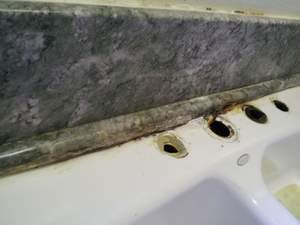 Stripping will take place first to bring the tiles down to their basic form. 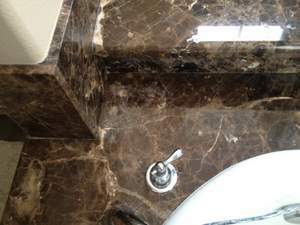 Hand-cleaning and sealing was the next step in this stone restoration. 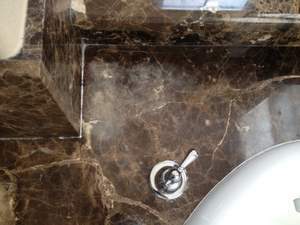 Once all the steps are complete you can see the difference. 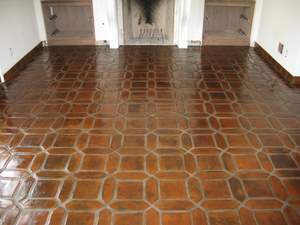 This floor is a beauty! During construction a bay window was installed into this kitchen. 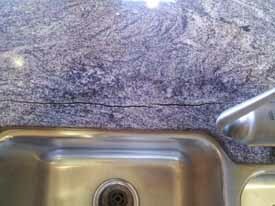 A crack formed in the granite after a few years of settling and was in need of stone repair. 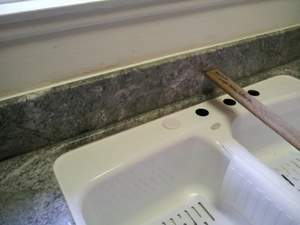 This stone repair was performed by applying adhesives, stone chips, and color in order to match up to the existing stone counter top. 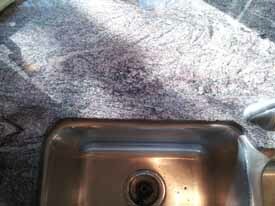 This granite counter now looks great!